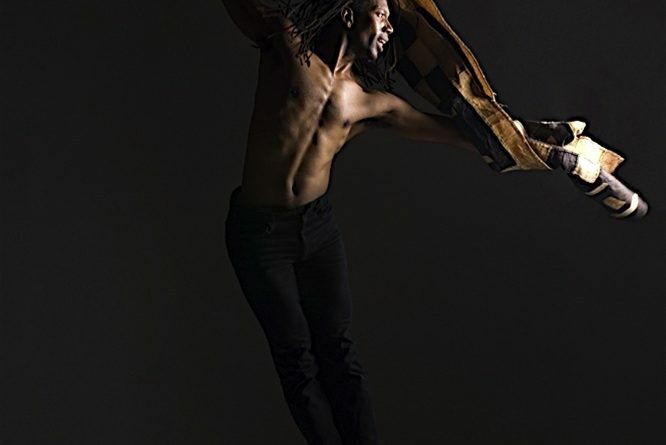 In the latest installment of the Window on the Work series on Friday evening, the Swarthmore Project and the Departments of Music and Dance highlighted Zane Booker’s current piece “Looking for Joe Beam.” His choreography looked to represent the realities of living with HIV/AIDS. After the members of the audience were requested to remove their shoes, the evening’s performance began with a short introduction by Jon Sherman of the Swarthmore Project. The Project, which began in 1995, brings artists to the campus for two weeks in the summer and provides them with resources, such as space, to work on projects that they have an interest in pursuing but might not otherwise have had the ability to. Booker described how the piece began initially as a commission for Bucknell University, but in its current form expanded much beyond that, addressing many issues in the African American and LGBT communities, as well as the intersections between the two. The performance itself was done in a simple space: bare floors and walls and little else. Three dancers were involved, all dressed in solid button-down shirts and pants. Initially, the audience was struck with aural absence; the dance was presented with no music, but instead, one of the dancers began with a spoken word piece. The dancer addressed the audience with excerpts of poetry adapted from an anthology that included works such as “Tomb of Sorrows” by poet Joe Beam, a gay rights activist from Philadelphia who wrote in the late 1980s. In the foreground of the stage area as the third performer spoke, the two remaining dancers began a visceral and physically charged duet. Like any well-performed duet, the two dancers displayed a remarkable familiarity with each others’ bodies, muscles and motions. The dance was both acrobatic and extremely sensual, with moves that required intense coordination, deftness and physical intimacy. One could feel the immense tension on stage, coiled in the taut muscles of the dancers as they carefully maneuvered and shifted their body weight around one another. The words of the poems were intimate, almost painfully personal. They spoke of past loves and pains but also seemed much broader, as if speaking for an entire community or period of time. As the duet ended, the spoken word gave way to a doo-wop concert, and the movements of the dancers shifted accordingly. Davon Williams, the speaker from the earlier movement, began singing a soulful and almost loving pop song, suggesting something along of the lines of The Temptations or The Supremes. The other dancers followed suit, and formed a choreographed group, snapping and dancing in time. This shift was startling, not only in its tone, which went from meditative, remorseful and longing in the spoken word to a significantly more upbeat pace. However, the audience was not allowed to get comfortable for long. The dance and song collapsed, and the dancers scattered across the stage area in seemingly random points, facing away from one another. Staying still, the dancers counted off a series of increasing numbers, which they translated into slow paces around the stage. Soon, they reassembled for more spoken word, finally forming a line straight facing outward from the stage area, and gave the audience a long and sharp salute before taking their concluding bow. 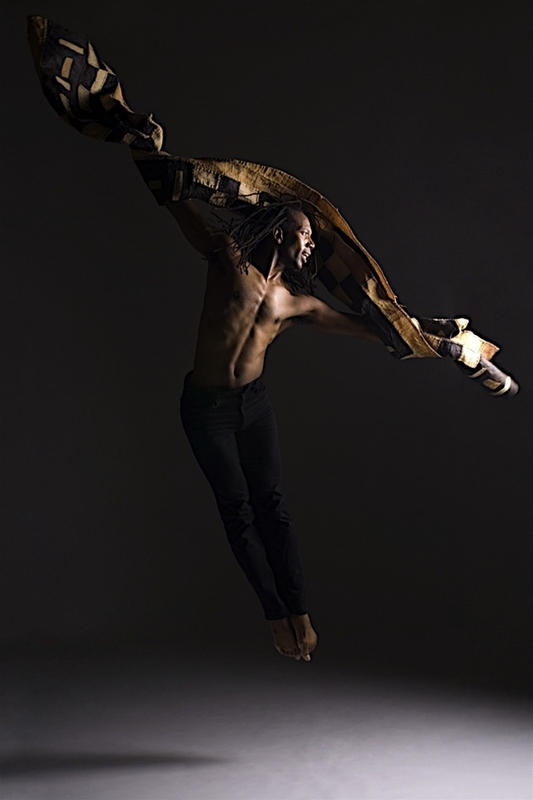 Booker said that he was attempting to “take the spirit and words of these other artists, and translate these issues into something relateable and universal.” When asked, he added that dance is a perfect medium in which to explore these concerns because it “translates how people feel” into non-linguistic communication like body language. Further, he noted that movement connects us all and speaks to the “validity of being alive,” and dance as a navigation of space can sometimes be seen as the “navigation of mercurial life. The evening ended with this meditation on life, but also on the beauty of human movement and interaction.